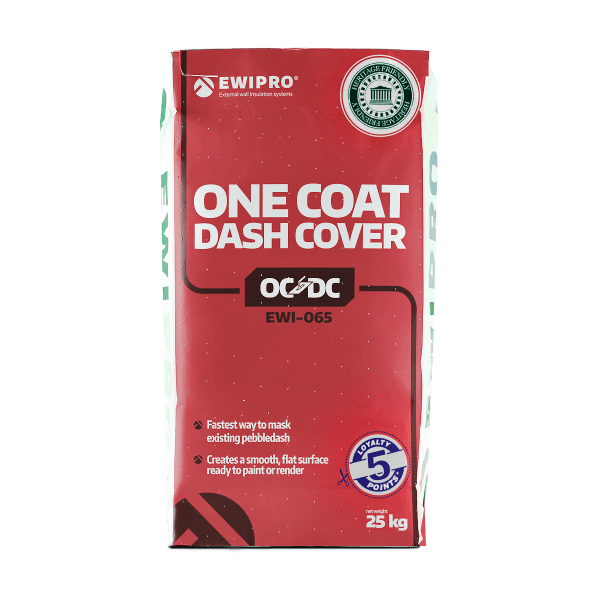 OCDC is a breathable, lightweight and flexible solution to covering over pebbledash. 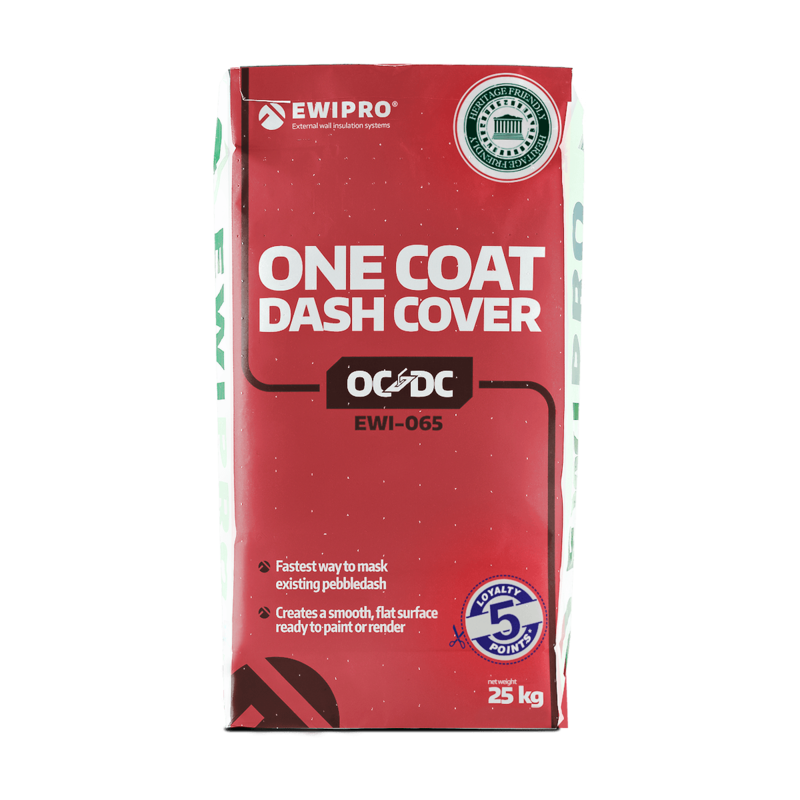 OCDC can be applied up to 20mm thick in one pass, and once dry provides a perfectly flat surface ready to render or paint. This product has a high air content and excellent tensile strength, providing a stable and durable base while allowing trapped moisture within the underlying pebbledash to escape. OCDC is intended for masking pebbledash render. The product should be applied as a basecoat, with a Fibreglass Mesh embedded within it. It should then be painted or rendered to achieve a decorative finish. OCDC should not be applied in rain or humid conditions, or if wet weather is expected before the adhesive has set. EWI-065 should be mixed with approximately 5 litres of water per 25kg of dry mix.